Does Mumbai need more FSI or less? The recent fire at a restaurant at Kamala Mills, Mumbai (15 killed) has caused many concerns to be raised regarding the fire safety of restaurants and other gathering spaces in India. 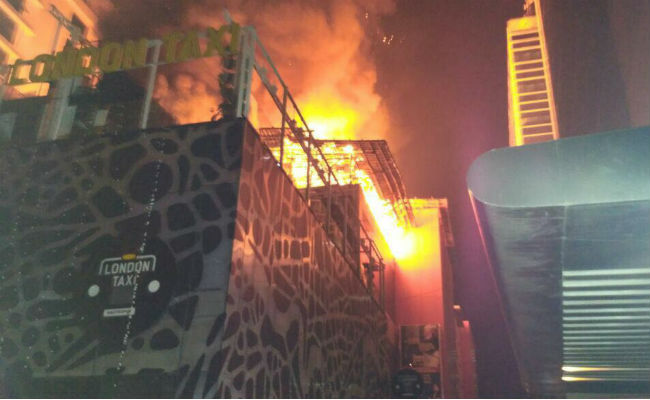 In the case of the Kamala Mills Fire, initial reports in the media indicate that the main cause of the deaths was the lack of a safe means of exit for the guests. While it seems strange that in a modern Indian city, well known restaurants lack proper safety measures, in practice there are many things that conspire to prevent this from happening. Why are many restaurants and gathering spaces not fire safe? There is a lack of concern for human safety in Indian society in general. On the part of building landlords and restauranteurs, this is inexcusable - but it is true more often than not. After a high-profile fire, the issue gains importance for a few fleeting weeks, and then interest dies out again, and nothing is done. There is a lack of knowledge about which building regulations apply. The government needs to do more about clearly communicating and articulating the relevant codes that apply to both new and old structures. There can be a "pass the parcel" approach to fire safety. The landlord may think this is upto the restauranteur, and the reverse, with neither claiming full responsibility. Theoretically, each of the two are responsible. The landlord is supposed to provide the restauranteur with a premise that has adequate safety measures, and the restauranteur is supposed to make those measures available to her guests. The ability of the government to check every single public premise is obviated by corruption. What fire safety rules and regulations apply to restaurants and public spaces? There are clear rules laid out by governmental authorities that stipulate the number, type, width, and construction details of fire escapes and means of escape in general. Each premise is to be carefully studied and checked if it complies with these regulations. There are also regulations concerning use of sprinkler systems, fire hydrants, fire alarms, and fire extinguishers. How do I check if my space is fire compliant? Conduct a fire safety audit. This is a detailed study in which the premise will be studied in detail, with measurements of key components, study of drawings, and photographs. The premise will then be compared with the applicable Indian norms to see if it falls short or complies with these norms. SDM Architects has done Technical Due Diligences and Fire Audits of buildings for leading MNC companies in India. Are fire extinguishers sufficient to protect my premise from fire? No, handheld fire extinguishers are not considered an adequate method of fire protection. The premise must have fire escapes constructed as per modern standards, a building-wide fire fighting system and a fire alarm system at the very minimum.